In this video from the Get in Rhythm. Stay in Rhythm.™ Atrial Fibrillation Patient Conference, Dr. William T. Brinkman discusses surgery for atrial fibrillation, including the concomitant maze, the classic Cox maze, the closed chest maze using the Dallas Lesion Set, and the new staged hybrid surgical ablation procedure. He also talked about surgical treatment of the left atrial appendage in order to decrease stroke risk. Dr. Brinkman also introduced his new colleague, Dr. Kelley A. Hutcheson, who recently came from Barnes Jewish Hospital where she worked with Dr. Ralph Damiano, the protégé of Dr. James Cox, creator of the Cox maze procedure. Video watching time is approximately 16 minutes. Dr. Brinkman is a board-certified thoracic surgeon at the Heart Hospital Baylor Plano. He received his medical degree from Emory University School of Medicine, Atlanta, GA, and had a general surgery residency at Emory University School of Medicine. He then completed a cardiothoracic surgery residency at Brigham and Women’s Hospital, Boston, MA, and a thoracic aortic fellowship at the Hospital at the University of Pennsylvania. An active researcher, Dr. Brinkman has been an investigator in the Placement of Aortic Transcatheter Value (PARTNER) trial, PARTNER II trial, DISSECTION, and Cardiothoracic Surgical Trials Network (CTSN) trials, directed by the National Institutes of Health. Dr. Brinkman has authored more than 30 articles in peer-reviewed journals and has presented his work at regional and national meetings. A recent publication is “Influence of Surgeon Volume on Outcomes with Aortic Value Replacement” in the January 2012 issue of the Annals of Thoracic Surgery. Mellanie True Hills: Now, we go to surgical procedures, and we could spend an equal amount of time on the surgical procedures, so I’ve asked a Herculean task of Dr. Brinkman to actually cover surgery in 15 minutes. Dr. William T. Brinkman is a board-certified thoracic surgeon, an active researcher-investigator on a number of surgical trials, and has authored more than 30 articles appearing in peer-reviewed journals. Let me turn it over to Dr. Brinkman to talk about surgery. Dr. Brinkman: Well, thank you, Mellanie. It’s an honor to be here, and yeah, it is a lot to cover in 15 minutes so we’re going to go take a view from 30,000 feet. I figured since we had so many cardiologists up here, I wanted to bring one of my partners up here, too, to help protect me. She just joined us. This is Kelly Hutcheson from Wash U [Washington University in St. Louis], most recently, and she has a great background in afib, and is an integral part of our team, and I wanted to have her say a few words before I go through these slides rapidly. Dr. Hutcheson: Thank you all for the opportunity to speak quickly. Again, my name is Kelly Hutcheson, and I just joined Dr. Brinkman’s group from Barnes-Jewish Hospital in St. Louis, Missouri, which is where Dr. Damiano is. He’s obviously a big name in atrial fibrillation surgical procedures, and his mentor was Dr. Jim Cox, who developed the original Cox maze procedure. Then, obviously, it’s been modified over time from the II to the III to the IV, which all has to do with the lesion sets, which you’ll hear about in a minute. Additionally, and on a personal note, my life has just recently been affected by afib in that my aunt two weeks ago had a very large stroke from atrial fibrillation and didn’t know she had it. Fortunately, she’s doing very well, but just as speaking to Mellanie’s point of women commonly being affected, not knowing. My aunt didn’t know she had it. She’s only 68 years old. She’s thin, she’s active, she rides horses—she had no idea that she had it and then had an 80% hemispheric stroke. It’s big, and she’s going to do fine, fortunately, and get rehab, and get better, but it’s important for women, as a group, to keep it on our radar. If we think that we’re having palpitations or energy is not what it should be, things like that, to go ahead and persist in the possibility that something’s actually wrong as opposed to just powering through it, which is what we tend to do in general; is figure that when in doubt, work harder, and things will get better. I’ve trained widely in this field with Dr. Damiano, and I’m interested in pursuing the options here in Dallas. So, thank you very much for the opportunity to speak, and Dr. Brinkman will fly through all the things we can do. [3:17] Dr. Brinkman: Okay, here we go. Surgery. The first thing that we’re going to talk about is concomitant maze procedures. You may be having an aortic valve replacement—one lady mentioned she had aortic stenosis—or you may be having coronary bypass, or you maybe have another reason. [3:40] If you look at these two slides, the percentage of people with coronary disease, there on the left, about 7% have atrial fibrillation associated. You can do a CABG [coronary artery bypass]. In the operating room, we can do various things, pulmonary vein isolation, take off the [left] atrial appendage, and we’ll go into more details about that, which are very effective. We can do them rather quickly in the operating room as opposed to three or four hours in the cath lab suite, but it is a more invasive procedure. [4:11] If you have mitral disease or aortic valve disease, much higher percentage, up to 40%, have arrhythmias. So, it’s much more frequent with valve surgery to have a maze procedure offered to you. Sometimes, they come in for aortic stenosis, and I’ll say, “Yeah, yeah, we’ll do this maze procedure, also.” The patient kind of looks at me confused, and I try to explain to them what the maze procedure is, and that’s what we’re going to go through. [4:36] If you look at the risk of people who have, say, CABG, and you don’t treat the afib, there’s evidence of a 20% increase in mortality by 10 years. You look at people with aortic valve problems and you don’t treat that, there’s worse survival. There’s more post-op stroke. Mitral valve similarly, if you have a mitral valve surgery, if they don’t address the afib, there’s an 18% survival difference at 10 years. You have increased strokes and things like that. [5:24] Just remember, this is stuff that the EP guys have been going through, but just remember the electricity spreads from cell to cell, and electricity can’t cross a scar. All these fancy lasers and cryocaths and RF — that is all about creating scar. And we’re directing the flow of electricity just as they alluded to before. Some of this is redundant, but sometimes it’s good to go over things multiple times. I know I need that many times. It’s just like a maze in the Sunday paper, and we’re directing the flow through a maze. It’s a simplified diagram. So, it allows it to have the normal conduction so that the atria can still contract and pump. The atria is really functioning as sort of a priming mechanism for the ventricles; it gives a little extra fluid in there so when the ventricle pumps, your cardiac output goes up. When you lose your atrial kick, your cardiac output goes down, and you feel terrible. This maintains the atrial kick. [6:30] This is a bigger picture of it, but it’s kind of a nice diagram. Some of these signals are going off in these blind areas and not causing much trouble. This is a diagram by Jimmy Cox, Ralph Damiano’s mentor. Here we have three generations down here with Kelly. But, we owe a lot to those people, mainly at Duke and Wash U, who started doing these innovative things. And I don’t mean to toot my horn, but they were mainly surgeons at first, but now the EP guys have taken it over, and that’s fine. We’re happy to share. [6:58] The classic Cox maze is to create scars like we just talked about. You know, we can cut—that’s traditionally how Jimmy Cox initially did it. He would put you on a heart-lung machine, and cut it, and sew it back together. That’s a very definitive scar. Cut-and-sew-maze—which some centers like Wash U, Mayo Clinic, and Cleveland Clinic still do a good amount of cut-and-sew-maze—but most people have moved on to these newer devices, which make the surgery quicker and maybe a little easier. There is some morbidity associated with the cut-and-sew-maze. You have to have a full sternotomy. You have to go on the heart-lung machine. But in good hands, I think it’s a very good procedure, but it’s not the kind of procedure you’re going to go to early on. It’s sort of like we’re the end of the line, okay, and we’re happy to help you out if you get to that point. [7:50] Almost all the patients we do our procedures on have had an attempted catheter ablation. So, when you look at papers comparing catheter ablation to surgery, it’s a little hard to compare the two groups sometimes. [8:06] What are the things we use? We use bipolar radiofrequency—kind of like what they use with catheters, just a different thing. It’s sort of a clamp that we can apply from the outside of the pulmonary veins. It’s very effective at creating a continuous lesion. I think we still have an advantage in that area because, with just burning it in spots, you’re going to get a few—even with all the high-tech technology they have—you’re going to get a few spots where the electricity might get through. You could imagine a situation where the cells are just sort of stunned and not really dead, and they initially do mapping, and it looks good, and then later some of those cells wake up a little bit. We’re more definitive, in general, but it’s real surgery, and so it’s usually people who have failed catheter ablations who get offered these techniques, but not always. [8:55] The laser’s talked about. High-frequency ultrasound was something that was talked about for a while—we don’t think that’s quite as effective, and we don’t use that. Cryoablation, we use that in the operating room, also. [9:10] Most of these energy sources didn’t work to our satisfaction. What works in our opinion? Scissors, radiofrequency, and cryo, in the operating room, at least. [9:20] Don’t be scared about this. This is the inside of the left atrium. They’ve been showing it to you through CT scan and MRI, but this is a drawing of it. This is the mitral valve here—it sits right there. The guy’s fixing your mitral valve, and he can make some lesions here, which create this Cox maze. Many times we’ll do this with radiofrequency around the pulmonary veins, and cryo here and here, and you’ll have a very sturdy lesion set. [9:48] This is a scarier diagram, which is confusing, but it’s basically you showing the same thing. I won’t belabor that. [9:54] The original Cox maze procedure that was developed did a bi-atrial lesion set. The EPs mainly are focused, most of the time, on the left atrium, and we are, too. But we also can offer a right atrial lesion set, which is the other pumping chamber, and it has been shown in many studies to increase the effectiveness of the maze procedure. I won’t belabor that. I’m actually not going to go through this video right now because I think it’s going to take too long. [10:27] The Cox maze—how effective is it? You look at the maze III series. 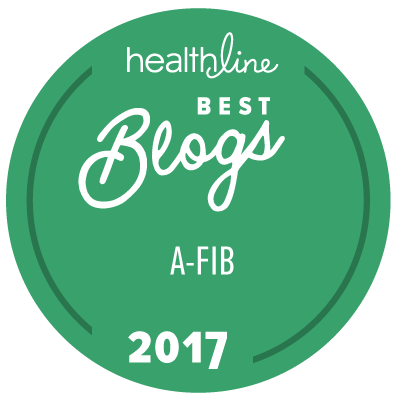 We always tell our patients, in the first few months, you might have afib because there’s irritation of the heart muscle, the atrium, from us touching it, clamping it, things like that, but after three months, the long-term failure rate’s quite low. In the original Cox series, they talk about 1.2%; I think that’s a bit optimistic because of various factors and how closely was this monitored. Like Dr. Rizvi said, “Well, 30 seconds.” That’s the Heart Rhythm Society definition. I don’t think Jimmy Cox initially quite met that standard, the 1.2%, but it is the gold standard. I think to expect 85%–90% is reasonable. There is a chance of having a pacemaker. Then the conduction, the squeezing of the atria, can be affected for a period of time, as was alluded to in some of the other talks. [11:28] Now, you look at the Cleveland Clinic series, which is also a very good center. They had a 6% pacemaker rate as opposed to 10% to 15%, which was before, so there’s a chance of that after this surgery. The mortality’s quite low, and their freedom from afib was that they’re a 90% success, and they had no embolic events. It’s a very good series. [11:53] The Mayo Clinic had about a 1% mortality. They had an even lower pacemaker, and 5% failure for the paroxysmal rates. They broke out the people with chronic, the harder to treat, and they had about a 10% to 20% failure rate there. I’d expect 80% to 90% success. [12:14] I’m going to go ahead and go on to what we do that’s sort of special with a closed chest maze procedure. What we do in that procedure is pulmonary vein isolation, which has been alluded to. We take off the atrial appendage—which is something that the EP guys are developing very effective techniques for that—but we can apply a clip just under direct vision on the outside and definitively occlude it. I think there’s something to be said for that if you’re in the area, and I think that is one of the major ways we decrease stroke risk. [12:48] We also can ablate some of the autonomic, the ganglia—basically the nerves that lie in the fat cells around the pulmonary veins. There are some people who believe that, as we’ve discussed, ablating the renal veins, ablating other tissue, that decreasing the neural input into the heart can be effective. So, that’s something else we can offer. [13:09] So, you need to be imaginative in this field. In this field, you know, there’s Albert Einstein saying be imaginative. [13:18] To do this, we do not use a sternotomy. It’s minimally invasive, but it is surgery, and I tell my patients that. They come in, they’re like, “Oh, it’s going to be another ablation.” I’m like, no, no, this is surgery. We’re very good at this, but there is a chance of bleeding. You know, we have about a 1% chance of severe bleeding. If we were to encounter that, we would do a sternotomy to save your life, but it’s very rare. We do it with a beating heart. We don’t put you on the heart-lung machine. [13:44] And this is the lesion set we use at the Heart Hospital, and it’s one that my partners Mike Mack and Jimmy Edgerton developed, and it’s innovative. It allows us to keep the heart beating. And we do the pulmonary veins. Here’s a pulmonary vein lesion here, a pulmonary vein lesion here. We connect those two across the dome of the atrium. We try to stay low to avoid some of the conduction tissue up here. Then we make a lesion down to the mitral annulus, and also a lesion to the appendage, and it approximates the Cox maze, at least in the left atrium. [14:20] What are our results? Okay. If you look at all patients with this lesion set, we had a 75% success rate. These are patients, predominantly, who’ve had failed catheter ablations before. But, if you look at the paroxysmal group, they have pretty good success rate, all close to 90%. If you look at the persistent and long-term persistent, we’re 70% to 62%, which, as Dr. Kowal alluded to, in these difficult groups of patients, are reasonable numbers. [14:58] Where are we going with this? We are moving into techniques of using the strength of the catheter-based procedures and the strength of the surgical procedures in a hybrid OR [operating room] doing both at the same time. We’re getting involved with some research in that area. Some of it would be staged; some of it would be at the same time. [15:13] What’s the rationale for that? The surgeons are good at making lines. The EPs are good at finding bad spots and fixing them. The surgeon may fail to penetrate the full thickness in certain situations, and the EP guy can come back and clean that up. I think it’s a very good approach, and the surgeons, to be honest with you, don’t have the mapping techniques or the skills with mapping that many of the EPs do — the advanced, the CFAEs, and all these things, the basket technique, things like that. I think working together as a team, as we’re doing in many areas in medicine, is the way to go, and we’re moving in that direction. Thanks.